Log files are used to troubleshoot a variety of different situations when certain processes may have gotten unexpected results while being executed. By default, logs are collected in the default mode. In certain cases, you may need to enable the extended logging mode to collect logs that contain more details on specific operations. Go to the main menu and click the General Options. 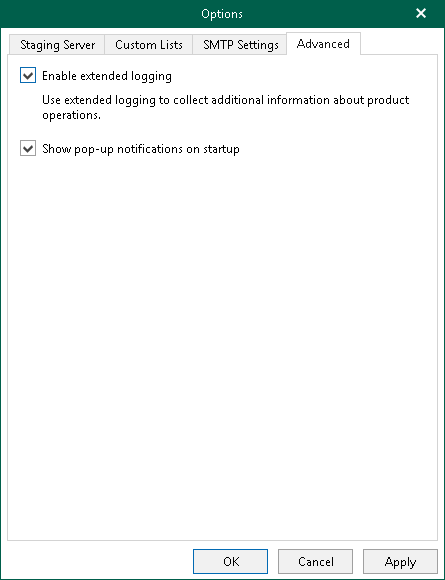 On the General tab, select the Enable Extended logging checkbox. Go back to the application, perform necessary actions and then review the logs to see the details.